rent at up to 70% off. 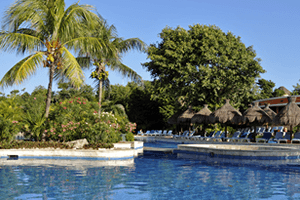 Find a timeshare for sale and save as much as 70% off retail prices. Rent a timeshare directly from an owner and experience the luxury of a vacation resort rental. Don't use your timeshare anymore? Sell your timeshare easily with the qualified experts ready to help you today. Own the best way to vacation, at the best price. It’s time to get serious about the way you spend your money. Taking a vacation shouldn’t be a “maybe” in life; it’s one of life’s necessities. Vacation ownership through timeshare resales makes it possible to relax in luxurious surroundings, to see the world, or return to favorite places … to live life the way it’s meant to be lived with time for your family, your friends, and—most importantly—yourself. For over a decade, we have provided trustworthy timeshare rental, timeshare resale, and timeshare resort services. Let our licensed timeshare real estate brokers show you how you can affordably take ownership in a whole new lifestyle, where vacationing is always about where and when you go, and never about if you go. Affordable accommodations with fabulous amenities. Why pay to vacation in a crowded hotel room, when renting timeshares is easy, affordable, and so much fun? In a timeshare rental you’ll enjoy room to spread out and relax in spacious accommodations with the comforts of home and the amenities of a luxury resort. Our straightforward rental process makes it simple to rent timeshares at up to 70% off retail in thousands of destinations, and when you book through VacationOwnership.com, your reservation is always guaranteed. Stop overpaying for the same basic hotel accommodations and save money with a luxury timeshare rental today! When you put our professional, licensed timeshare resale brokers to work for you, purchasing timeshares or other vacation ownership products through VacationOwnership.com is straightforward and transparent, with no surprises along the way. Every timeshare for sale (and timeshare rental) advertised on our site is verified for accuracy. And if we don’t have the resort, fractional, or vacation club membership you are looking for, we will work to find it for you at a price that fits your budget and the way you want to vacation. Experience the difference of full-service timeshare brokerage provided by licensed professionals. Click below to learn more. Timeshare sales and rental services that work. Yes, you can resell your timeshare. And you can do it with no upfront fees if your property qualifies! Our licensed timeshare real estate agents are highly experienced in the vacation ownership industry and our marketing platform is powerful and produces results. We could tell you that we sell more timeshares than anyone else in the business, but we’d rather show you how and why our timeshare resales and rentals services are proven and effective. No one markets your timeshare, fractional, vacation club membership, points or ownership to as many targeted buyers and renters as we do. Call our licensed real estate agents today at (866) 633-1030 or click below to learn more.